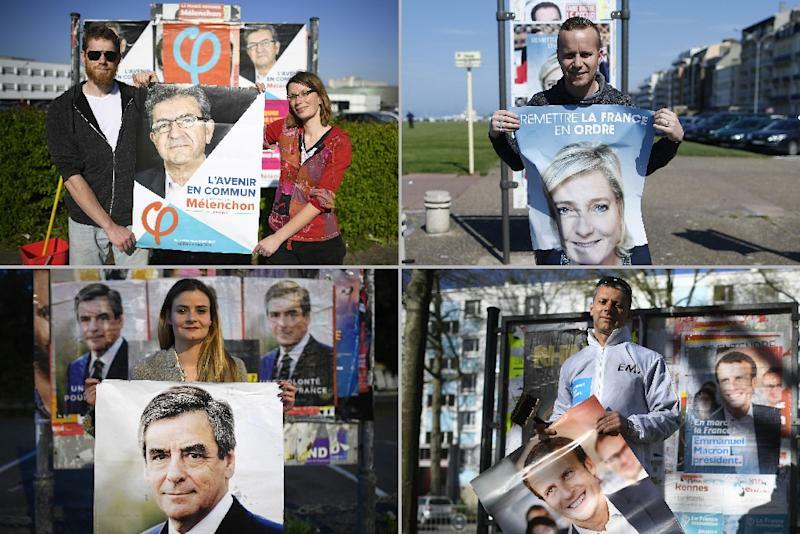 Paris (AFP) - A week before France's presidential election, the four top candidates began a final push Sunday to woo undecided voters who will determine the outcome of a tight race between the hard left, centre, right and far right. 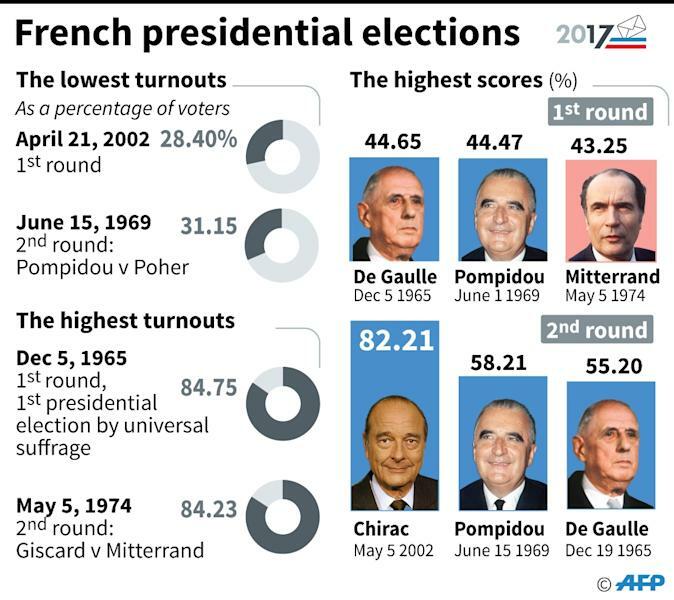 On April 23, the French will vote in the first round of the country's most unpredictable election in decades. Two of the 11 candidates will go through to a decisive run-off on May 7. The election is being closely watched in Brussels and around the world, with a duel between far-right leader Marine Le Pen and surging leftist radical Jean-Luc Melenchon, both eurosceptics, one of the possible outcomes. Opinion polls show record numbers of voters -- one in three -- still undecided about who to back after a campaign that has been big on scandals but short on policy debate. An ebullient Melenchon, leader of La France Insoumise (Unbowed France), drew tens of thousands of supporters at an open-air rally in Toulouse where he bashed his rivals, US President Donald Trump and the European Union. Condemning Trump's recent airstrikes against Syria's regime the 65-year-old said "no people can accept that there is a world sheriff who decides alone who is murdered." In a barnstorming speech stressing freedom and international solidarity, he defended his close ties to Venezuela and Cuba, saying his rivals kept worse company. "Do I have to answer to Marine Le Pen about my anti-Western friendships when she takes tea with (Russian President Vladimir) Putin?" he asked. He stirred particular passions when he rapped scandal-hit conservative Francois Fillon and EU "austerity treaties" -- triggering chants of "Degagez" (Get lost), the rallying cry of the Arab Spring of revolts. During a visit to a World War I battlefield, outgoing Socialist President Francois Hollande appealed to the candidates not to "scapegoat Europe", saying it had "protected us against war". 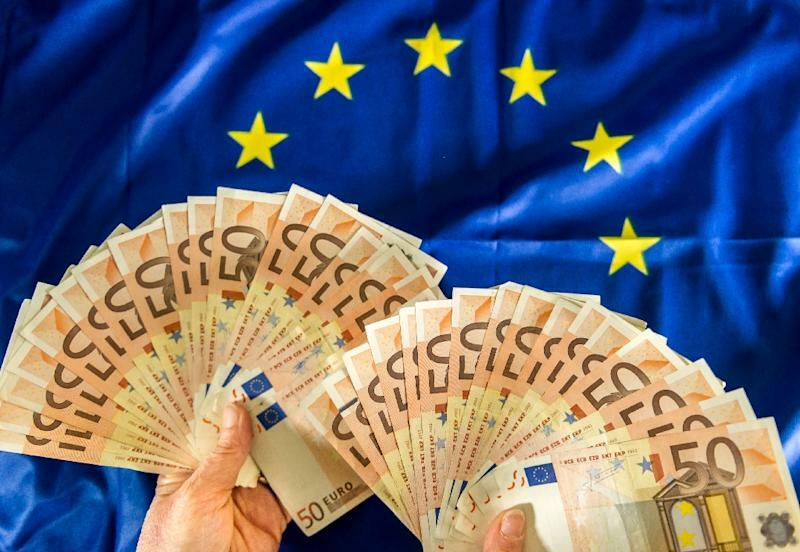 Melenchon's spurt has shaken up the race, with many hesitating between voting with their hearts and a tactical vote for whichever candidate is given the best chance of barring him or Le Pen -- both of whom are threatening to quit the euro. Le Pen is still leading the first-round race with centrist Emmanuel Macron on about 22-24 per cent each but her support has dipped slightly over the past week. Melenchon and the comeback conservative Francois Fillon have narrowed the gap with her and Macron to about three points, blowing the race wide open. The election has revealed angst over a perceived erosion of French identity, which Le Pen has pinned on immigration from Muslim North Africa. In an Ifop-Fiducial poll for Le Journal du Dimanche (JDD) newspaper 86 percent of FN voters said they "no longer feel at home" in France and 73 percent considered Islam incompatible with the French Republic. But the poll showed Le Pen, who has spent years trying to detoxify the FN's image, still struggling to win over the absolute majority of voters needed for victory in a run-off. Three-quarters of non-FN voters said the party as "dangerous for democracy" and four out of five found it "racist". Around 400 people demonstrated in the multi-ethnic northern Paris suburb of Aubervilliers Sunday against a rally planned by Le Pen Monday in a nearby concert hall. "No fascists in our neighbourhoods," they shouted. Around 50 demonstrators briefly clashed with the police, who fired teargas to disperse them, an AFP reporter said. In a speech in the southern city of Perpignan on Saturday the 48-year-old FN leader returned to her party's core themes of immigration and Islam to shore up her support. Le Pen has cast herself as the best defender against the jihadists who have killed over 230 people in France since 2015. "With Mr Macron, it would be Islamism on the move," she said, in a play on the name of Macron's En Marche (On the Move) party, which champions open borders and diversity. Fillon, who is on the rebound from a damaging expenses scandal, used Easter to work his provincial Catholic base while 39-year-old Macron visited a Catholic-run charity in Paris. In an interview with the Journal du Dimanche, Fillon expressed confidence of success, despite being charged with misusing nearly one million euros in public money -- revelations that scandalised the nation in January. "I know I will be in the second round," the 63-year-old said, adding that, if elected, he would make peace with the judiciary and media whom he has repeatedly accused of plotting against him.